All our lives, we have heard stories of good versus evil — not just in our childhood books of fairy tales and our adolescent superhero comic books, but also in our contemporary literature, our favorite films and of course our must-watch television shows. This week, we will explore the darker side of some of today’s hit TV series and the villains who wreak havoc for our beloved heroes. 1. The Evil Queen/Regina from Once Upon A Time. Pictured left, the Evil Queen is the epitome of villainous. On this thrilling fairy tale TV show, in which all of our beloved (and not so beloved) fairy tale characters have been transferred into our world and have forgotten their former lives, the Evil Queen (known in our world as Mayor Regina Mills) does everything she can to manipulate others and maintain power. As the Queen, tricks a lovesick genie into assassinating her husband, takes advantage of a “heartless” huntsman, and kills her own father in order to curse the entire Enchanted Forest. Meanwhile, as her real world counterpart Regina, she schemes against those who pose a threat to her title, meddles in the relationships of the various characters, and uses magic to murder the town Sheriff (who rejected her in favor of her arch-nemesis, Emma Swan). 2. 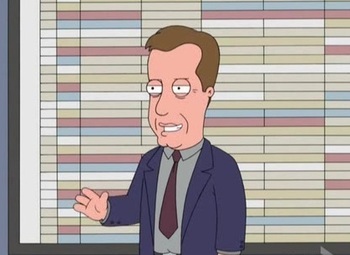 James Woods from Family Guy. Note: I am not talking about the actor, James Woods, but rather the character he voices on TV. Although Quahog, the town in which Family Guy takes place, has named quite a few of its landmarks after him, Woods is known to cause trouble every time he comes to town. Whether he’s stealing Peter’s identity or ruining Brian’s television show concept, James Woods is crude, selfish and just plain mean — which always leads to excellent television! Even after a previous episode killed the character off, James Woods has returned and will likely appear in future episodes, creating the same kind of mischief he is usually known for. 3. Lemon Breeland from Hart of Dixie. The seemingly perfect Southern Belle, Lemon may consider herself sweet as pie, but she usually comes across as demanding and conniving. Lemon obsesses over wedding plans and ruling the town of Bluebell, Alabama, in every society group imaginable, often ignoring her own fiance (the handsome lawyer George Tucker) and bullying the new-girl-in-town, Dr. Zoe Hart. From hazing Zoe in an initiation process to forbidding her friends from getting pregnant until she does, Lemon is known for becoming unhinged, especially when she doesn’t get what she wants. Although the show tries to show a more sympathetic side through flashbacks and emotional scenes, Lemon is usually portrayed as difficult to get along with, unauthentic, dramatic and completely unlikable. Don’t let the floral dresses and affected speech fool you — her ‘Mean Girls’ style makes her just as villainous as the rest of them! 4. The Situation from Jersey Shore. Mike Sorrentino, better known as “The Situation,” has always prided himself on being a tough guy. 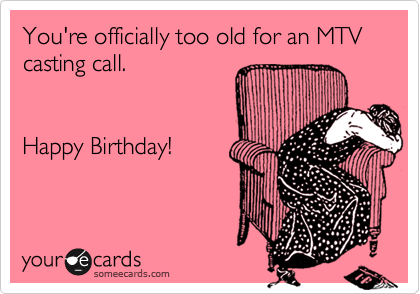 However, throughout the multiple seasons of Jersey Shore (about five too many! ), he has established several different roles and characters for himself. He has briefly been the sweetheart, when he seemed to genuinely have feelings for Sammi in the first season, and he often refers to himself as more of a father figure to the rest of the house, particularly in the second season. Mike has also revealed a more somber side, especially toward the end of his days in Italy, during which he separated himself from the group and lamented the fact that no one liked him. The Situation is known to become violent and manipulative, and often threatens in the confessionals that his evil side is about to come out. Always looking for trouble to stir up, The Situation and his multiple personalities could top this list as all five TV villains. 5. Courtney from The Bachelor. Perhaps my greatest inspiration for writing this post, Courtney is constantly in the middle of feuds with the rest of the girls (although, to be honest, who can blame her? 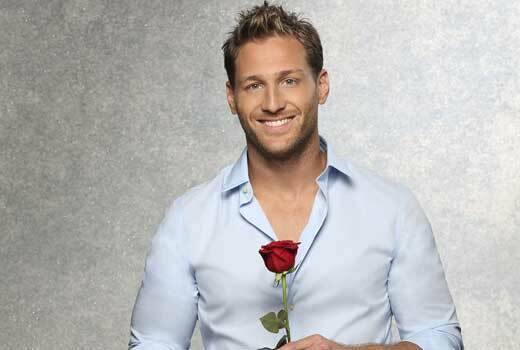 They’re all competing for the same man’s affections), hogging attention with Ben the Bachelor on group dates, and saying things on confessional like “I want to rip her head off and verbally assault her.” This is the only season of The Bachelor that I have actually sat down to watch, but from the very beginning it was easy to see that she was going to be around for a long time. Why? Her presence in the house provides the perfect drama for serious viewers who believe that the show is actually about true love. After all, how could Ben not see through her crazy eyes and the fact that the other girls are so concerned about her behavior? Personally, I love seeing Courtney stick around, because it means we get to see her say or do something else that’s completely insane. Who are your favorite TV villains?